Rimmel's Lasting Finish Soft Colour Blush in Santa Rose may appear uninspiring in the pan, but this blusher adds just the right amount of colour, whilst defining those cheekbones. The shade is a natural, matte, soft, dusty rose with a brown undertone. 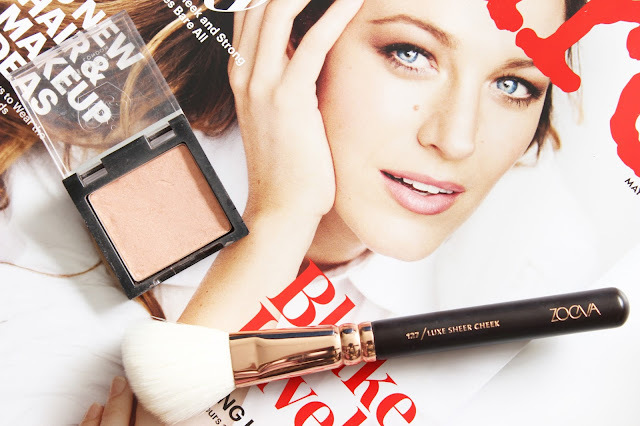 This inexpensive blusher’s packaging may be a little shoddy, but the lasting power, buildable pigmentation and finish makes it the by far the most complimentary shade to wear with any lipstick colour. It’s hint of colour won’t leave you looking like a clown, or like your wearing a shed load of makeup, it’s simply perfect. And the best part? It won’t leave you out of pocket, costing just £3.99. Do you wear blusher with bold lipsticks?